14K yellow gold scarab earrings are an example of Egyptian revival styled sacred scarab. 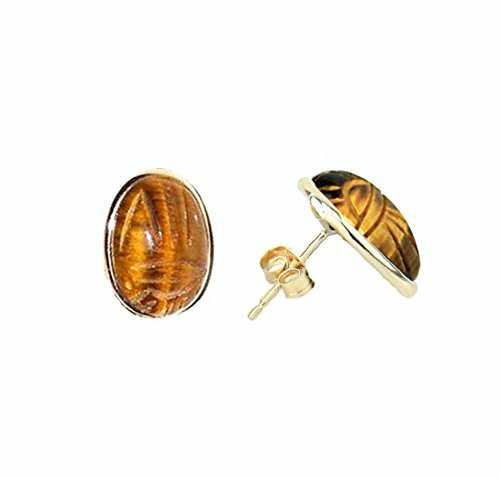 Classic oval shaped tiger eye studs with a 14K yellow gold bezel. Large Bamboo Name Earrings in Gold or Silver.